Russell Morrison (MA 1947, Hon. LLD 2004) was one of U of T’s most generous supporters. Through his giving, he strove to help students reach their full potential. The University of Toronto and its students have lost a loyal friend and a generous and visionary benefactor. Russell Morrison, C.M., was 92. “No great university can function without great libraries and study spaces, and no benefactor has done more than Russell Morrison to raise the quality of those spaces for students at the University of Toronto,” says President Meric Gertler. 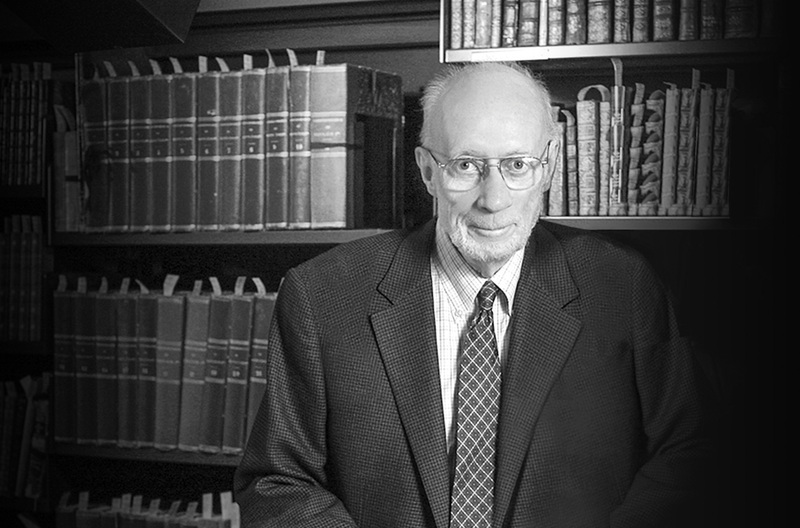 “Through his gifts to U of T, Russell, together with his wife Katherine Morrison, transformed our library system to help create some of the most supportive educational environments in the country—places where generations of students will learn to think independently, engage in critical scholarship and realize the benefits of teamwork and self-reliance,” Gertler says. Russell Morrison was born in Saskatoon. He obtained his BA from the University of Saskatchewan in 1944, his MA in economics from the University of Toronto in 1947 and a third degree from the University of Chicago in 1950. During the Second World War, Morrison was a member of the Royal Canadian Navy Reserve. After the war he lectured in economics at Vanderbilt University in Nashville, Tennessee. Morrison went to work in the investment industry in 1953, and during his career was considered one of the best investors in Canada. He worked in brokerage research early in his career, progressing to managing hundreds of millions of dollars in mutual funds, and later gained significant experience in the Japanese equities market. In 1978, he and Katherine (PhD 1979, Hon. LLD 2004) established the Morrison Foundation, which has supported the University and other educational service organizations, including Frontier College and Pathways to Education. In 2004 the University awarded him the degree of doctor of laws (honoris causa) in recognition of his contributions to education, and in 2014 he was appointed to the Order of Canada. He and Katherine have been among the University’s most generous benefactors. In 2004 the Morrison Pavilion doubled the amount of student space at the Gerstein Science Information Centre, Canada’s largest academic science and medicine library. The pavilion transformed a historic building into a bright, welcoming space at the heart of the St. George campus. It attracts visitors from across North America, who view the building as a model for how to upgrade such a facility. In 2005, thanks to a very generous gift from the Morrisons, University College was able to build its first new student residence in almost 50 years. Morrison Hall is now a central part of UC’s commitment to vibrant student life. In 2008, the Morrisons made a donation for a comprehensive revitalization of Robarts Library – the largest private donation ever made for the renewal of a library in Canada. They made a further significant gift in 2010 to support a five-storey addition to the main library. 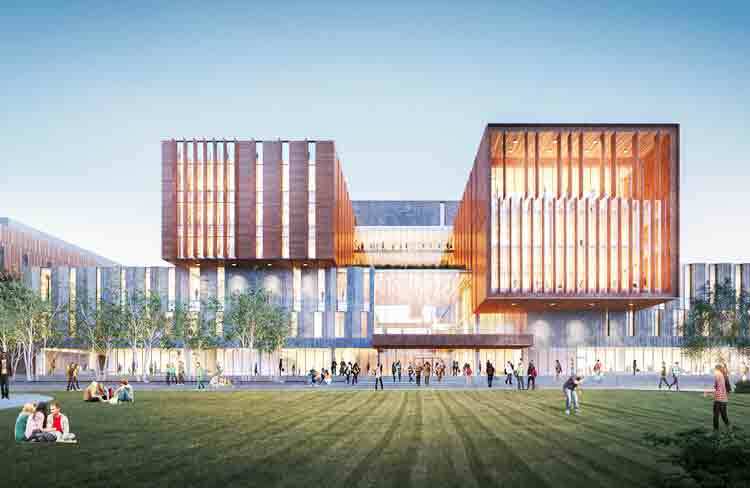 Designed by Diamond Schmitt Architects, the Robarts Common will be connected to the main library by a four-storey bridge. Up to 18,000 students, faculty members, alumni and others visit Robarts Library daily and demand is expected to grow. 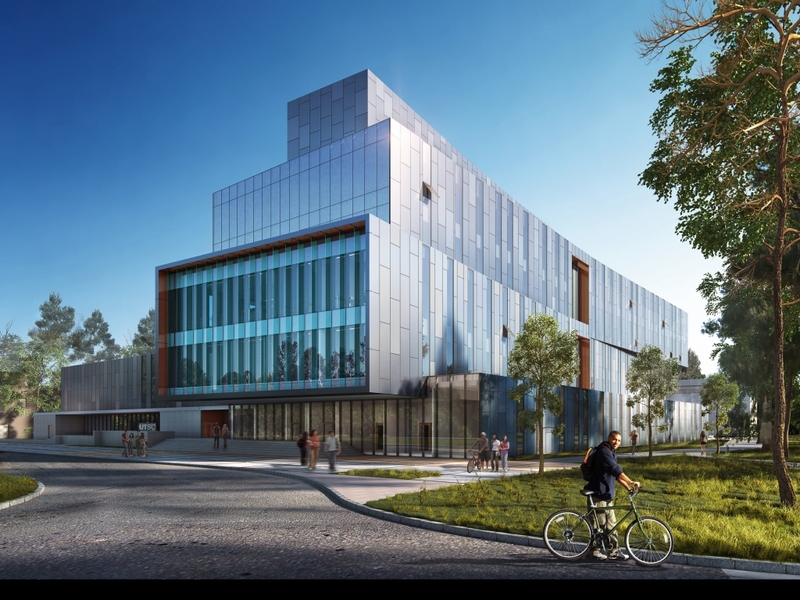 The Common will help to meet the need by adding 1,222 new study spaces, bringing the library’s total number of spaces to 6,027. “Russell Morrison was an ardent advocate for the creation of library environments to enable students to be as productive as possible,” says U of T’s Chief Librarian, Larry Alford. “By enhancing study spaces through his philanthropy, he has helped to inspire students as they deepen their knowledge. “True to his lifelong career in the investment field, he described his philanthropic commitments in terms of return on investment. His remarkable investment has had an undeniable influence on the academic success of thousands of current students and will influence countless more in generations to come,” Alford says. Providing the resources necessary for students to reach their full potential was Morrison’s ultimate goal. “He encouraged U of T to carefully consider students’ needs for quality space, information technology, state-of-the art services and collections,” says Moore. “Perhaps most importantly, Russell urged us to look at the changes that will affect the library in coming decades and then made enormous financial donations to help us adapt appropriately. Russell Morrison is survived by Katherine and by two daughters and a son—Leslie A. Sinclair (BASc 1983, MASc 1985), Rev. Donna Morrison-Reed and Robert J. Morrison (BA 1980 UC, MA 1991).